Online media Business Insider Netherlands regional published an article on 21 June 2018 entitled The 39 Powerful Female Engineers of 2018 that highlights the role of 39 female engineers who have developed technologies that make great impacts on world community. One of the engineers hails from Indonesia, namely Wiratni Budhijanto ST., MT., Ph.D., Chemical Engineering lecturer from UGM. Met in her office, Wiratni said she was surprised to get herself included in the list. She assumed the listing was related to her research that was funded by the USAID. The research is on the technology of waste water filter that can turn the waste water into usable water by accelerating the growth of anaerobic bacteria as microorganisms that have the role in filtering the water. 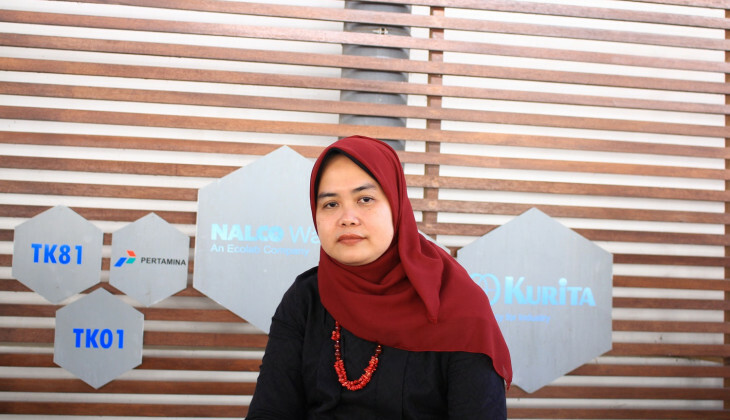 Wiratni’s ideas sparked as a response to the fact of depleting clean water in the world. According to Wiratni, this was caused by the reduced amount of filter microorganism while the amount of waste in the world is getting bigger. Some research even predicts that in 80 years all the fish in the ocean will get killed due to poisoning. Wiratni came up with a way to delay such calamity by turning to the anaerobic bacteria as this microorganism does not need oxygen to survive, hence saving huge costs. “It’s essentially how to keep the bacteria from being contaminated by the oxygen so they can grow well,” she commented on her research. On the other hand, Wiratni saw that scientists always stay in their own elite community while not trying to make the science understood by the general public by speaking scientific language incomprehensible to the public, hence the benefit of the science is enjoyed just by the scientists themselves.This is not in line with Wiratni’s dream. She dreamed of the time when science can be a universal language for every human being. When everyone understands science, all informational and behavioural mistakes will drastically reduce. For example, university students nowadays already hold information in the palm of their hands, i.e. smartphones, but this is different from the older generation of lecturers who still want their students to jot down the course materials he gives them. Wiratni added that UGM is a university that has implemented the principle of Science Journalism where UGM has done communication with the public such as through Student Community Service. “In essence, science should be enjoyed by the general community,” she said.